Cookies Making Machine is a very good idea for set up a Small Business at home or any other place. By a little effort you may earn handsome money with Cookies Making Machine. Almost everyone likes cookies and the demand of cookies is found all throughout the year. With the Cookies Making Machine you can make cookies and after packing it you may sell it or supply orders in local market. With the semi automatic Cookies Making Machine you can make upto 80 to 90 kg cookies per hour. It needs different types of materials to make cookies of different tastes. Usually, you need floor, sugar, beking powder etc. to make cookies. At first you have to make a mixture of all materials with Mixture Machine. Then you have to pour the mixture on the hopper of the machine. Now srat the Cookies Making Machine and cookies will be made and come out automatically. Then bake the cookies on the Woven. After that pack it and it is ready for sell. It needs 1 hp motor and 220 to 440 volts to operate the Cookies Making Machine. The price of the Motor Operated (with 9 refills) Cookies Making Machine is approximately Rs.7 lakh. The price of the Mixture Machine (can make upto 50kg mixture) is approximately Rs.75 thousand. The price of the Electric Woven (can contain 20 trays) is approximately Rs. 2.5 lakh. 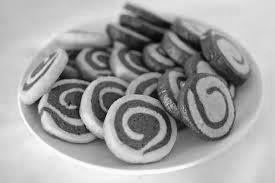 You can find many companies manufacturing a wide range of Cookies Making Machine. Their machine matches high technology electronic control.